General Director of KSDAE KLHK, Ir. Wiratno, M.Sc., explained a presentation titled “Smart Investment as strategies of utilization and conservation area Indonesia”, which was delivered by Director General Secretary KSDAE, Ir. Herry Subagiadi, M.Sc. He also stated that Faculty of Forestry also has student activity units called Mapala Silvagama. 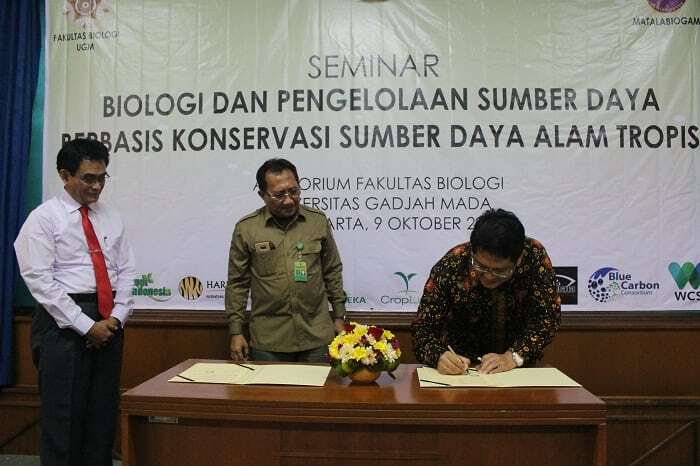 He also invites the students to take part in the conservation of natural resources in Indonesia.